Make a difference - join the Friends of MCC Foundation and the community in creating an extraordinary legacy of hope, learning and opportunity. Your involvement positively affects all members of our community and sets a precedent that will impact future generations for years to come. Who benefits from your donations? A big thank you for contributing to my future! 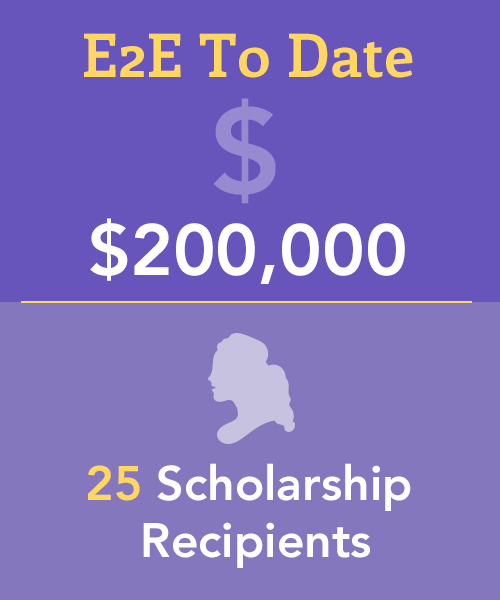 To date, E2E has awarded $200,000 in scholarships to 25 female MCC students! Support MCC Students on Giving Tuesday, November 27! Make a difference by supporting higher education. MCC Alums go to the Ball Game! 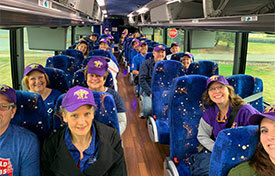 MCC's Alumni Association welcomed over 100 alumni along with family and friends to the Brewers vs. Cubs game on April 7, 2019 in Milwaukee. It was a great day cheering on our teams and connecting with fellow MCC alumni! Thanks to the generous scholarship donors and scholarship recipients for attending the Friends of MCC Foundation Appreciation Breakfast. Scholarship applications due October 15. General Kinematics recently established a scholarship with the Friends of MCC Foundation. Please remember the Friends of MCC Foundation in your will.